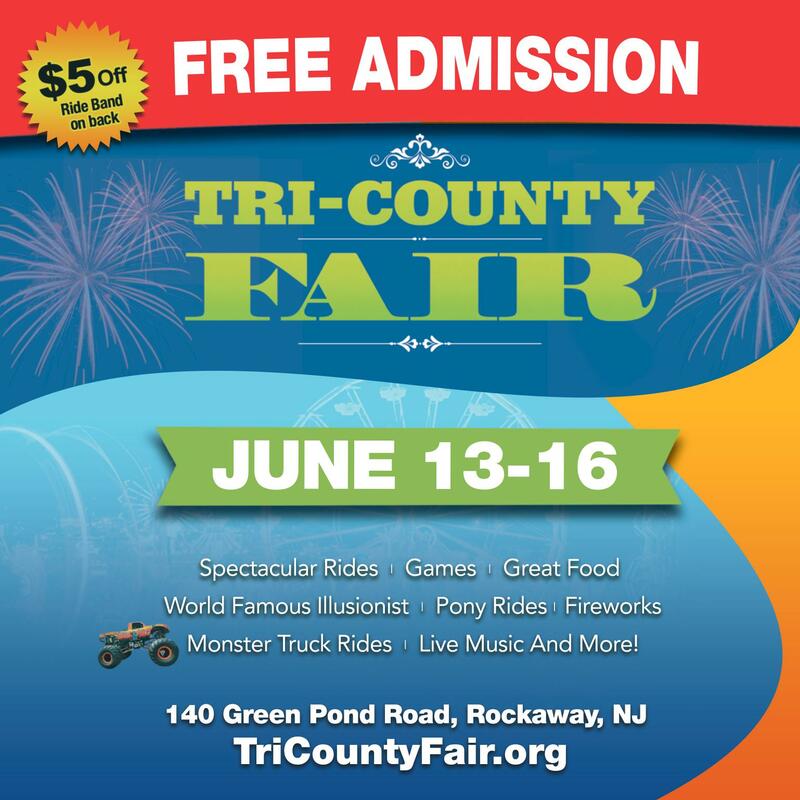 The excitement of carnival attractions, rides, games, live music, fireworks and more is coming back to the Morris County area at the sprawling 107 acre site of Christ Church located at 140 Green Pond Road, Rockaway, NJ 07866 – Exit 37 off of RT-80. Come out and enjoy spectacular rides such as Dream-catcher or the Sky Hawk, classic rides like the Ferris Wheel, kiddie rides, games of chance, fun fair foods such as Coldstone Ice-Cream, handmade zeppoles, fried Oreo’s, po’boy sandwiches, sausage and peppers, delicious homemade lemonade and much more! 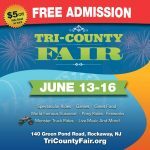 The Tri-County Fair will also feature free family entertainment such as; family friendly music, a spectacular fireworks show, a complimentary live musical showcase where local bands will display their talents and entertain fair-goers an old time car show complete with 50’s music, monster truck rides and all new for 2019 the Illusions of Jay Mattioli (as seen on America’s Got Talent)! Save $10 on ride tickets when you purchase advance sale ride tickets online now! All new for 2019 — VIP Ultimate Ride Bands are also on-sale as a pre-sale item, only! This gives you access to ride all of the rides on the midway, all four days, for one great price!